Follow up of material received (Work packs), Handling, Preservation and Start up in the Fabrication. Responsible in leading of weekly meeting and Kick off Meeting to discuss all pendencies related to production. Acting like Site Representative in the quest to enhance the relationship between contractors & subcontractors. Able in taking actions proactive to figure out troubleshooting. Reading & interpretation of documents of engineering (diagrams, arrangements & P&IDS). Solid knowledge of technical drawings, catalogs of equipment’s, hydraulic diagrams, plants and isometric. .
Good Knowledge in processes of oil & gas applied the naval industry and off-shore. Great interface between engineering and field in the quest of satisfaction customers. Advanced knowledge in the windows system and tools office (Word, Excel and Outlook). 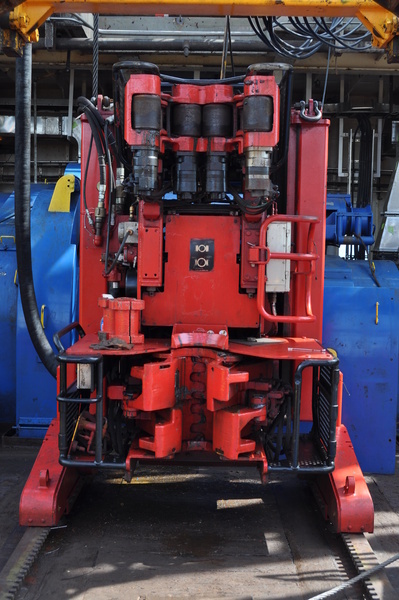 Experience developed in routines of production, repair, commissioning and decommissioning as well as preventive & corrective maintenance in Equipment’s of Drilling Rig such as: Crown block, Top drive, Rbs, Dfma, Rack arm, Prs, Drawworks, Iron roughneck, Cathead, Easy torque, Rotary tables, Catlines, Mainrider, Pipehandle, Drill collar elevators, Riser gantry crane, Xmas tree crane, Hpu, Mud pumps, Cranes of the kinds “A”frame, Knuckle boom, Kingpost, Stick boom, Anchor windlass, Diesel generators Wartsilla F316, Emergency generator CAT, Diesel purifiers, Low compressors and High compressors, Centrifugal pumps, injection pumps, chemical pumps, Helicoidal pumps, positive displacement pump, lifeboats, Fast rescue boat, water maker unit, Heat-exchanger such as: shell-tube and plate, strainers, many valves, Hydraulic and pneumatic system, Dampers, pressure vessel and boiler. Great ability handling Lathe Machine, drill press, hydraulic press, hose press machine, welding process, blow pipe, replacement of machine elements such as: mechanical seal, O-rings, bearings, shafts, piston, cylinders actuators, several brake system, gear box. Good knowledge in software into Rig management System, reporting all troubles, searches for spare parts and updating every day the tasks carried out, purchase order, handover and all Red tape. Solid knowledge of technical drawings, catalogs of equipment’s, hydraulic diagrams, plants and isometric. 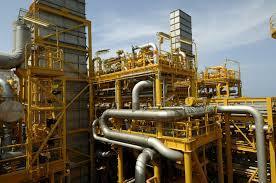 Good Knowledge in processes of oil & gas applied the naval industry and off-shore. Familiarity with the standard ANSI, ASME, API, Din, ASTM, Aws and other. 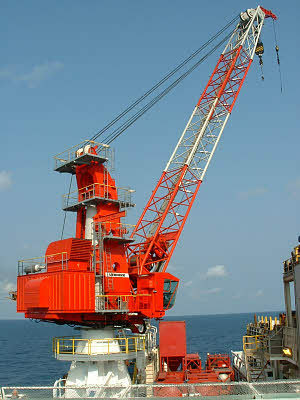 Experience developed in commissioning from Singapore to brazil, carrying out jobs such as: corrective and preventive maintenance in all equipment’s on the rig Crown block, Top drive, Rbs, Dfma, Rack arm, Prs, Drawworks, Iron roughneck, Cathead, Rotary tables, Catlines, Mainrider, Pipehandle, Drill collar elevators, Riser gantry crane, Xmas tree crane, Hpu, Mud pumps, Cranes TSC, Anchor windlass, Diesel generators EMD710, Diesel purifiers ALFA-LAVAL, Low compressors QUINCY and High compressors NOV, Centrifugal pumps, injection pumps, chemical pumps, Helicoidal pumps, positive displacement pump, lifeboats, Fast rescue boat, water maker ACQUA-CHEM unit, Heat-exchanger ALFA-LAVAL such as: shell-tube and plate, strainers, many valves, Hydraulic and pneumatic system, pressure vessel, Boiler CLAYTON, and also in the propulsion system THRUSTERS FLOW SERV - ABB. Great ability handling Lathe Machine in the manufacturing parts and pieces, drill press, hydraulic press, hose press machine, welding process, blow pipe, replacement of machine elements, disassembling of gear box, running hours and sample oil. Experience developed on board of a fpso unit, performing tasks in all equipment that comprise a process production plant in a FPSO, such equipment’s are: turret, swivel, turbines SOLAR, glycol pumps, injection water pump SULZER, offloading oil winch, compressors SIEMENS, IGG system, chemical pumps, Winches, cranes HYDRALIFT, manual and Hydraulic torque, measurement gap of slew bearing of cranes, tensioning in main bearing turret and swivel. 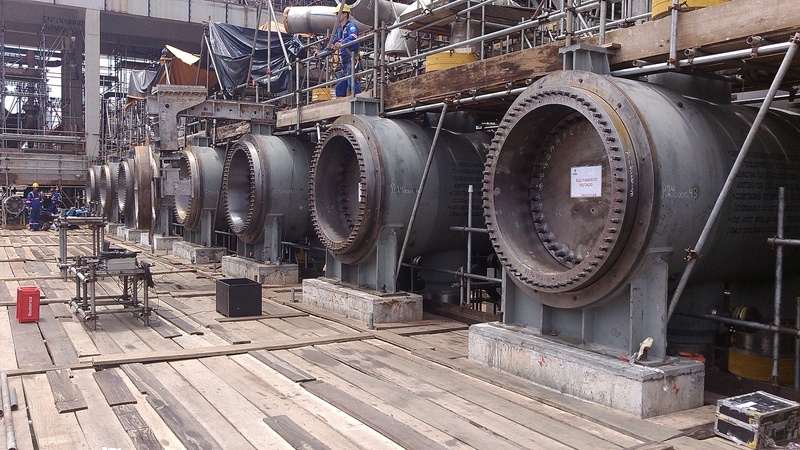 Corrective and preventive maintenance in diesel engine, dampers, lifeboats, hydrostatic test, as well as in the replacement of machine elements such as mechanical seals, gaskets, packing, o-rings, bearings and strainers, removal and assembly of spools of oil and gas in the monpool for cleaning with diesel oil, Running hours, as well as handling blow piper and welding process. Ovehall in Oxygen scavenger pumps, Calcium nitrate pumps, Methanol pump, Demulsifier pump, Reverse osmosis pump. Laser alignment in coupling pumps and sheaves. Experience developed on board of a fpso unit, performing tasks in all equipment that comprise a process production plant in a FPSO, such equipment’s are: turret, swivel, turbines SOLAR, glycol pumps, injection water pump SULZER, offloading oil winch, compressors SIEMENS, IGG system, chemical pumps, Winches, cranes AMPLETON, manual and Hydraulic torque, measurement gap of slew bearing of cranes, tensioning in main bearing turret and swivel. Corrective and preventive maintenance in diesel engine CAT, fire pumps, dampers, lifeboats, hydrostatic test, as well as in the replacement of machine elements such as mechanical seals, gaskets, packing, o-rings, bearings and strainers, removal and assembly of spools of oil and gas in the monpool for cleaning with diesel oil, Running hours, as well as handling blow piper and welding process. Ovehall in Oxygen scavenger pumps, Calcium nitrate pumps, Methanol pump, Demulsifier pump, Reverse osmosis pump. Laser alignment in pumps and sheaves. Experience developed in maintenance, repair and inspections in cranes such as: Seatrax, Dreco, Hydralift, National, TSC, Ampleton and other as well as lifting winch, brake cylinder actuators and riser gantry crane and other off-shore equipment’s.Accomplished several maintenances such as: Repairs, replacement of machine elements, testing in valves, pumps and hydraulic motors, accomplished assemblies of piping, hydraulic pumps and their instruments of the type PI &TI, and other types of piping components, accomplished assemblies of boom crane and installation of their components: Sheaves, pins, cell pin load, cell shackle load, wire rope of main hoist, whip hoist and boom hoist.Overall in cranes following a planning for an excellent result. Annual inspection, quadrennial inspection, load test and good application in all red tape using specific software. Experience in routines of production, Coordination team, repair and maintenance in unit such as fpso and drilling rigs. Solid knowledge of technical drawings, catalogs of equipment’s, hydraulic diagrams, plants, isometric. 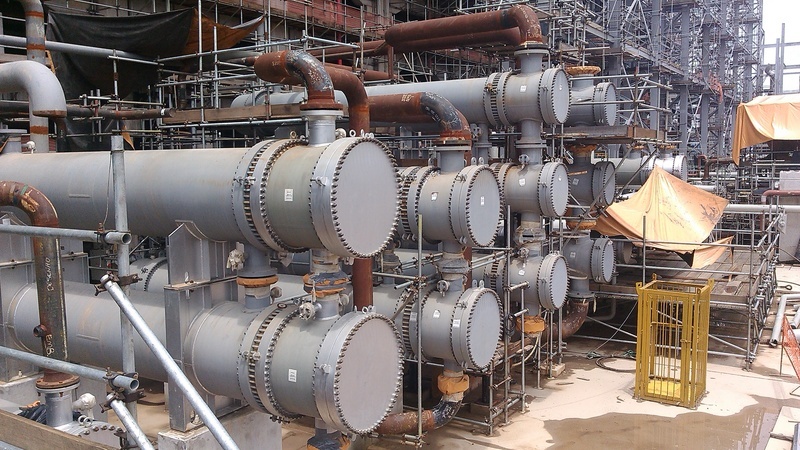 Arrangement and detailing of piping by flow sheet and equipment layout, Making of plants, cuts in sections, isometric, spools for production. Specification of materials for purchase (Take-of). Advanced knowledge in the windows system and tools office (Word and Excel). Familiarity with the standard ANSI, ASME, API, Din, ASTM, AWS and other. Pursue goals which are directly related to the naval industry, onshore and offshore steel industry and petrochemical areas, willing to participate in all of its stages and helping to establish a total quality policy. Considering that your company is trying to achieve a better growth each day, I believe to have the necessary experience to add values to it. I'd like to thank your attention in advance, and I make myself available to any questions and clarification that may be necessary.